While Marvel Studios seems to have stopped releasing new Avengers: Endgame footage for the time being, the production house is still finding plenty of ways to keep the fans occupied. 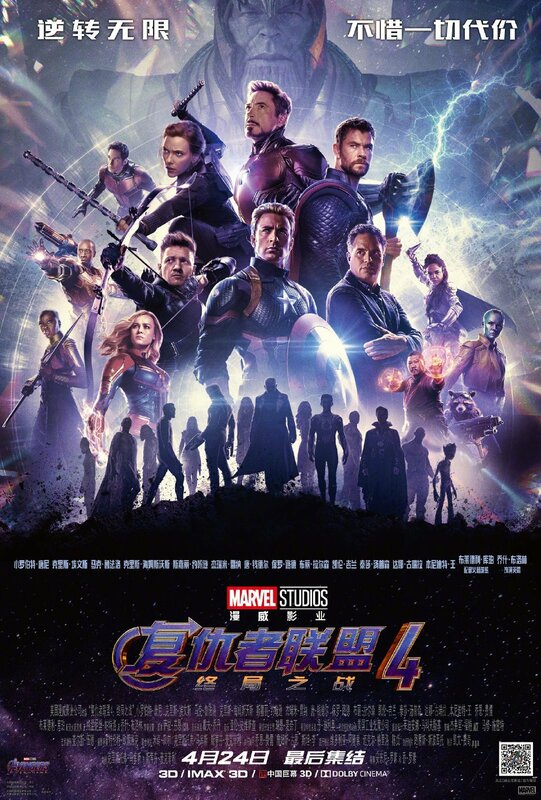 Earlier today, for instance, a new Chinese poster for the Avengers: Infinity War sequel emerged online that was packed with more characters than any other official Endgame promotional image to date. The artwork exhibited not just the saga’s current survivors, but also the casualties of Infinity War. To break these figures down individually, however, let’s just start with the survivors. Right at the top of the poster is Thanos, who was pretty much the one character who came out of Infinity War happy. Occupying the center of the image, meanwhile, are the six Phase 1 heroes: Captain America, Iron Man, Black Widow, Hawkeye, Thor and Bruce Banner. While those six are said to be the focus of the movie, they’re also surrounded by various supporting players, including Captain Marvel, Ant-Man, War Machine, Okoye, Nebula, Rocket, Valkyrie and Wong. Next, we move on to the dead characters, most of whom fell victim to the snap in last year’s Infinity War. Though the silhouettes aren’t all easy to make out, the dusted characters on display include Shuri, Bucky Barnes, Black Panther, Mantis, Star-Lord, Nick Fury, Scarlet Witch, Spider-Man, Falcon, Doctor Strange, Drax and Groot. On top of that, we have two characters who died directly at the hands of Thanos: Vision and Gamora. Overall, the list adds up to 29 characters, though even then, there are a few noteworthy omissions, including Loki, Pepper Potts, The Wasp and Happy Hogan, all of whom are expected to show up somewhere in Avengers: Endgame. We’ll find out who else Marvel is hiding from us when the film hits theaters on April 26th.